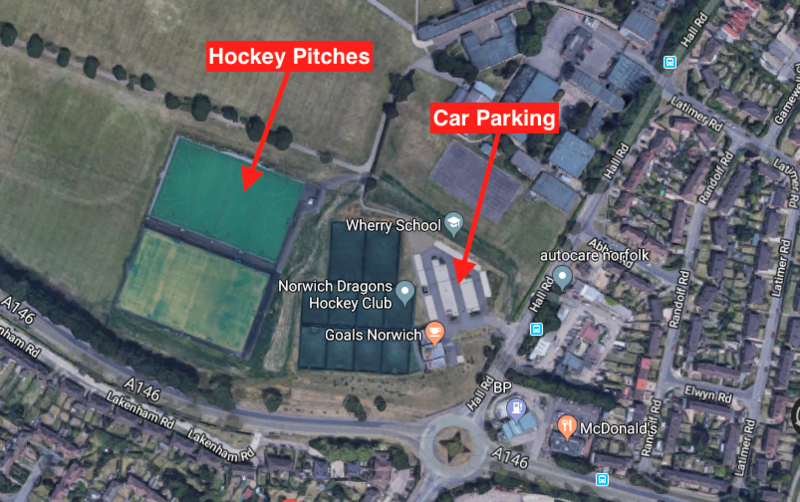 Take the inner ring road to the Hall Road roundabout (BP Garage and McDonalds) then north onto Hall Road and first left into the Goals Soccer Centre, the hockey pitches are located behind the Soccer Pitches. Postcode for SatNav = NR1 2SE will direct you to a location directly opposite or NR1 2GB will take you just along Hall Road. 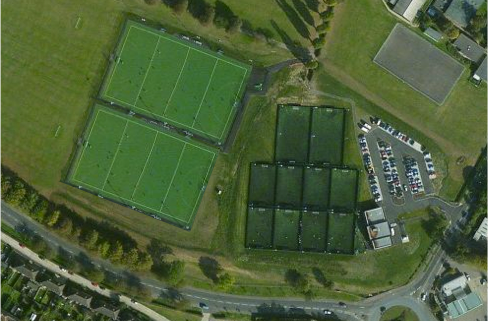 Changing and toilet facilities are found in the Goals Clubhouse, from the Clubhouse follow the path beside the car park and round the back of the football pitches to the hockey pitches. 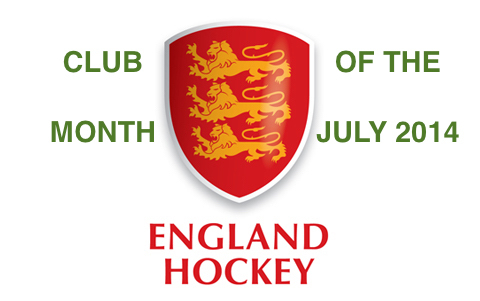 We are actively encouraging car sharing and using alternative methods of transport for getting to our hockey centre, such as walking, cycling and using public transport. Click here for further details. You can also download The NDHC Green Travel Map. This encourages more sustainable travel options. Phase One of our new home was completed in June 2011 and officially opened by Richard Alexander (Ratman). We use the Goals Pavilion for our Car Parking, Changing and Bar Facilities and with McDonalds across the road we never go hungry!! 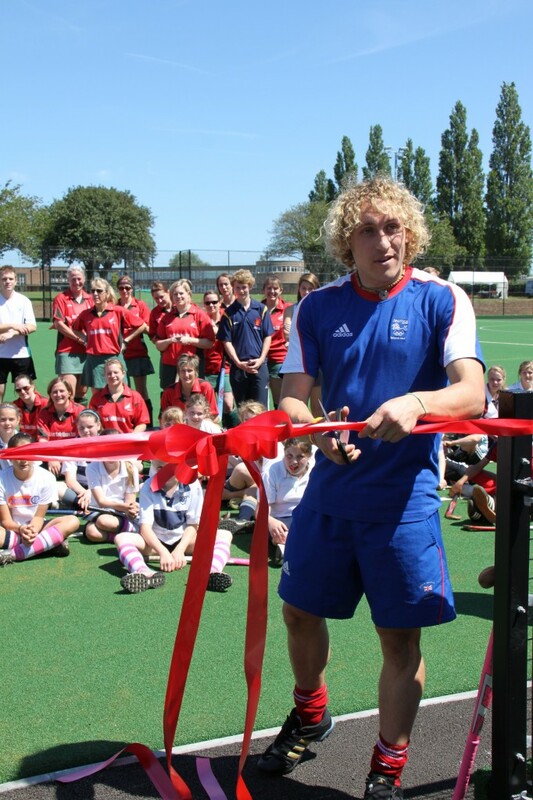 The three founder members of the Central Norwich Hockey Consortium (Town Close School, Hewett School and Norwich Dragons Hockey Club) have provided land, funding and project management expertise to transform a derelict cinder running track into a state of the art hockey pitch. In partnership with Norwich High School for Girls a second pitch has now been completed at the Hockey Centre.